Fairways and FunDays is delighted to offer several exciting incentives and opportunities to Golf Industry Professionals throughout the world. If you are a PGA Professional, a Golf Club owner, a Golf Club Manager or if you are employed in any way within the global golf industry, please contact a member of our team today. 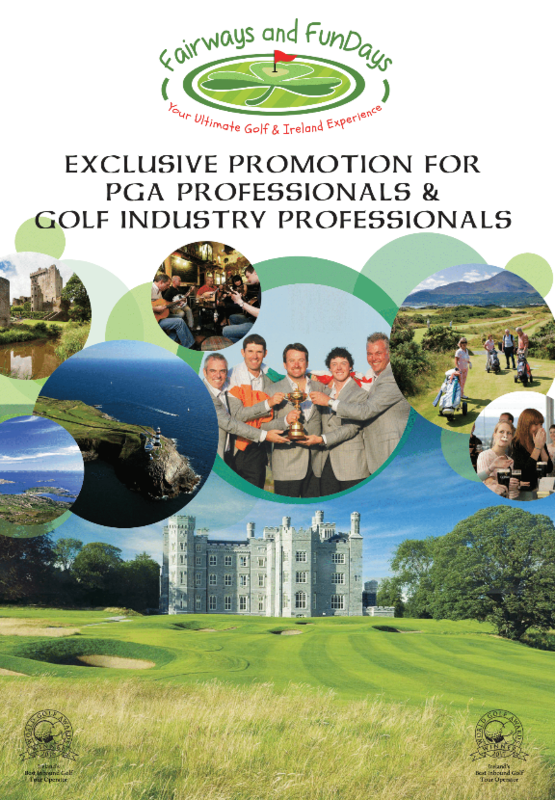 As Ireland’s Best Golf Tour Operator, Fairways and FunDays welcomes the opportunity of working with golf industry professionals throughout the world. The ethos of our company is to offer clients the most memorable Ireland Golf Tours available. 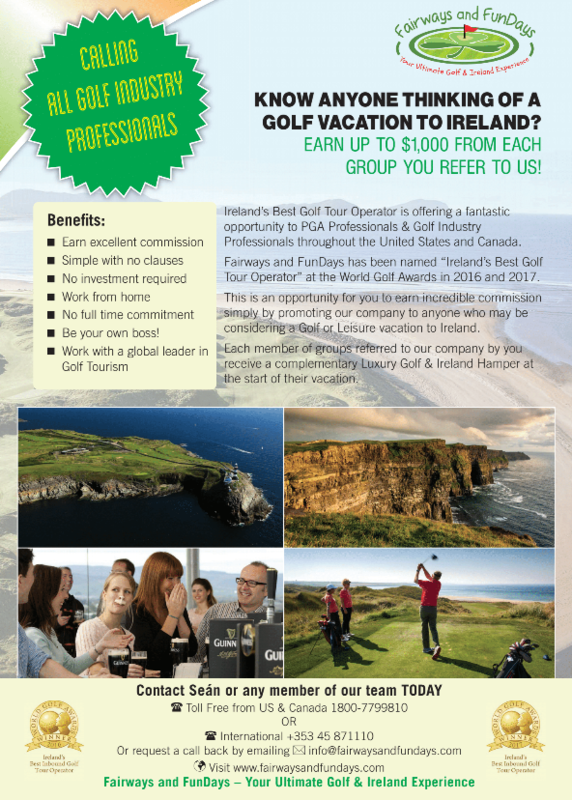 Perhaps you would like to accompany a group of your members on an Ireland Golf Vacation, perhaps you would like to become part of an incredible affiliate programme, or perhaps you would like to work for a global leader within the Golf Tourism industry? Fairways and FunDays offers a range of exciting opportunities for all of these.